London Days: More Shopping to be done! 24 sleeps until Christmas day! Time to hit the shops. I love the Santa hat! Thanks for playing along at CASology this week! Gorgeous card Sandie and so much fun, looks great too me and I like the photo at an able ! What a fun sentiment...and I love the partial coloring of the image! (Sweet hat, too!) Thanks for playing along at CASology! This is adorable, and I love the little nick, how you fussy cut the arm and the twine. all the little details are so great!! LOVE 'em! 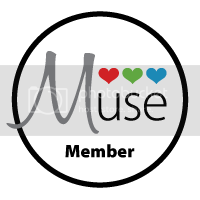 Thanks so much for adding this WONDERFUL lovely to the CASology Gallery and joining us in the FUN this week! Not happy with the outcome??? You've had way too much mulled wine, my friend! This card is perfect - cute hat, just the right touch of colour and shopping - what's there not to like!